Pedal Power is coming to Aerobility! Are you or do you know a young person between the ages of 10-17 who are disabled and have a mental health condition? 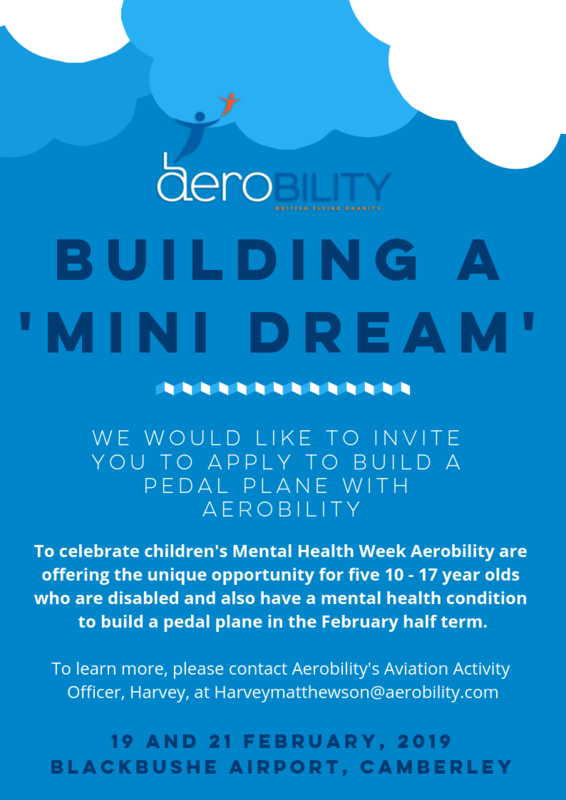 Get involved in our "mini dream" as we build a pedal plane. You also will be able to try a bit of real aeorplane building in our workshop. Email harveymatthewson@aerobility.com to learn more.